It looks like RTL, the Dutch broadcasters of As the World Turns, learned from their experiences last year. With a lot more notice, they were able to give cast, fans, and production staff a lot more time to prepare. Not that last year’s event was at all “sub-par” (after all, the event was headlined by Martha Byrne and Elizabeth Hubbard, and Van was there, so it was pretty top-notich), but this year’s event featured many long-time fan favorites that would likely have been at the top of any long-time fan’s wish list. The event was again headlined by the incomparable Martha Byrne – still beloved as Lily Walsh, even after vacating the role in 2008. But this year, she was joined by Jon Hensley – Lily’s erstwhile on-screen soulmate, Holden Snyder – representing both of Luke’s parents, even if Van himself couldn’t be there. The program said the final episodes would be shown during the live shows, which must have been incredibly emotional. Jon is already on the record in interviews talking about how hard those final scenes were to do, especially while channeling Martha, so that must have been incredibly moving for all present. I’ll be curious if they had anything to say about on-screen progeny – hope someone who attended posts a good trip-log! Other attendees included fan favorites Trent Dawson (Henry) and Terry Conn (Katie) – yeah, I know, not hugely popular among LuRe fans, but historically very popular with the show. I was never a big Henry fan back in the days when Henry and Katie were pulling all their stunts, but I did love where he ended up as a character and what Trent did with the character (go, Benry!). 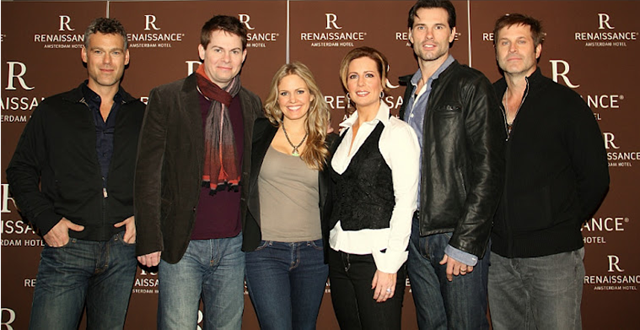 The cast was rounded out by Greyson McCouch (Dusty) and Austin Peck (Brad), whose run on the show wasn’t as long as the others’, but he’s now married to Terri, so that probably made logistics relatively easy (no knock on Austin – to me he just doesn’t have the show-history that the others do….not that that would keep me from cheering for Eric, had he attended!). A great selection of group and individual, posed shots can be found on photographer Edwin Janssen’s site. Anneke Visser also has a great gallery posted at Nufoto.nl along with (many) more on her personal site. She has a ton of full-sized, watermark-free candids of the stars on-stage and behind the scenes including a gorgeous one of Martha and Jon. Among other apparent changes – the set and surroundings look like they’ve been significantly upgraded. 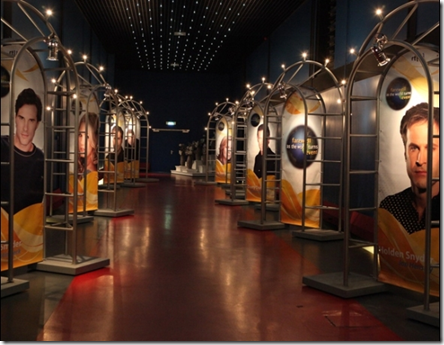 Last year, the lobby in Utrecht had a bunch of posters up of the cast (including one of my all-time favorites of Van), but this year’s not only had posters, but sparkly set design that really presented the cast as big movie stars. Also, I would guess to accommodate the “rush” to the stage at the end of the event, they installed a catwalk that allowed the cast to get much closer to more of the audience without fear of falling into a mosh pit. The cast again seemed to love the well-deserved attention, and seemed to take as much joy in the event as the audience. Here is Martha capturing her cast-mates on stage (reminiscent of Paolo Seganti whipping out his cell phone to capture the fantastic on-stage wedding proposal last year). A much more comprehensive gallery, including several photos of what is an apparent proposal for Grayson McCouch can be found on the RTL website. In the meantime, some related videos, including the opening clips montage and some interviews with Terri and Austin on Dutch morning television, after the jump…. 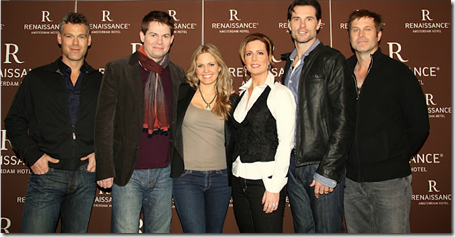 This entry was posted on Monday, February 20th, 2012 at 5:15 pm	and is filed under ATWT in Holland. You can follow any responses to this entry through the RSS 2.0 feed. You can skip to the end and leave a response. Pinging is currently not allowed.